Award-winning author and Native Studies Professor Sarah Carter, from the University of Alberta, will deliver the 2018 Avie Bennett Historica Canada Public Lecture in Canadian History on Sept. 27. Carter’s talk, titled “Prairie Settler Suffragists and Indigenous People,” will draw from her upcoming book, Ours By Every Law of Right and Justice: Women and the Vote in the Prairie Provinces. The book will be published as part of the Women’s Suffrage and the Struggle for Democracy series by the University of British Columbia Press. In the University of Alberta’s Faculty of Native Studies, Carter is also the Henry Marshall Tory Chair in the Department of History and Classics. Her upcoming book is the first book-length study of the women’s suffrage campaigns in the Prairie provinces, and the first to situate this struggle in the context of the settler colonial history of the region. The suffrage movement coincided with the years of intense colonization of the West when the Indigenous population was outnumbered and marginalized. The settler women and men who spearheaded the movement shared and furthered the goal of consolidating Euro-Canadian power. Carter’s most recent book, Imperial Plots: Women, Land, and the Spadework of British Colonialism on the Canadian Prairies (2016), won several awards, including the Governor General’s History Award for Scholarly Research and the Sir John A. Macdonald Prize of the Canadian Historical Association. She is also co-author of The True Spirit and Original Intent of Treaty 7 (1996). Her most recent co-edited collection (with Maria Nugent) is Mistress of Everything: Queen Victoria in Indigenous Worlds (2016). 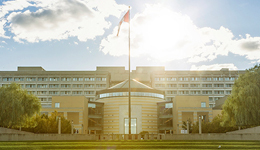 The Avie Bennett Historica Chair was established at York University in 2004 by the Historica Foundation of Canada, endowed by York Chancellor Emeritus Avie Bennett. Its purpose is to promote the study of Canada’s heritage and ensure the academic vitality of the discipline. The annual lecture is part of the Avie Bennett Historica Canada Conference, titled this year as “Women Warriors and National Heroes – Global Perspectives,” held from Sept. 27 to 28 at the Archives of Ontario, located at York University’s Keele Campus. The lecture, occurring on the first day of the conference, is open to the public and will begin at 7:15 p.m. in the Pierre Lassonde Lecture Hall, Room 106, Schulich School of Business, York University.